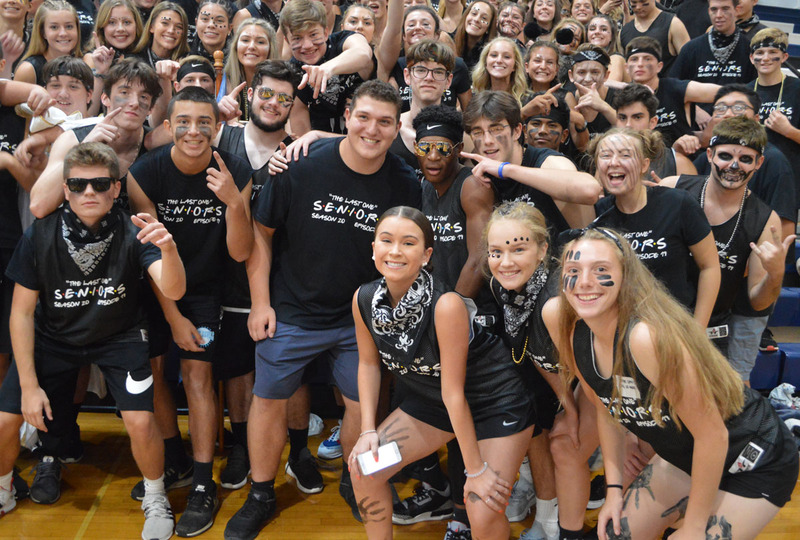 Columbia students showed their spirit at the Homecoming Pep Rally on Friday afternoon. All four classes, wearing different themed shirts, competed in a variety of games and activities, such as a cheer competition, limbo, and hungry hungry hippos. The Senior Class won the competition, which concluded activities from Spirit Week. Columbia hosts Averill Park in the homecoming football game on Friday night at 7 p.m. The homecoming dance is scheduled for Saturday from 7-10 p.m.